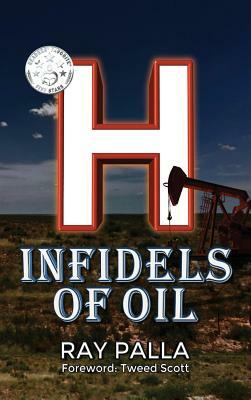 After a rudimentary H-bomb erupts half-a-world away in a Middle-Eastern oil field, global war appears imminent. Cultural beliefs and raw cowboy personalities fatally clash when terrorists smuggle several obsolete Soviet hydrogen weapons into west Texas. Their mission is an all-out nuclear-radiation assault on American oil fields. This border breach threatens to permanently poison vast strategic U.S. underground petroleum energy reserves. Amid constant turmoil from production costs, plunging barrel prices, and predictions of a soon-to-be hydrogen-powered world; a handful of oilmen counter attack. Grit-hardened, these small-town roughnecks reluctantly realize that they are all alone with the enemy on the Texas desert. Under a looming cloud of nuclear fallout, they defy the imminent demise of not just their individual careers, but collectively their very lives.